Large, clean rooms, very close to public transportation, which was free with the enclosed Baselcard, that got us 50% off the ticket price in all the places we visited. Markus (the owner) is very friendly and helpful. The location is really great. The apartment has charm and is very spacious, well equipped and very clean. The owner is very accommodating . I also got a free Tram card for my stay which is a tremendous saving. The kitchen has all one needs and is very clean and modern. I could not have been more pleased. The kitchen has a Nespresso machine !!!! Super nice host, great location, comfortable flat. Tram takes you direct to the old city, super easy and fast. We were here with 3 small children. I can only recommend. The parking place on site, the very quiet location, the tram station nearby to go to Messe and city center . 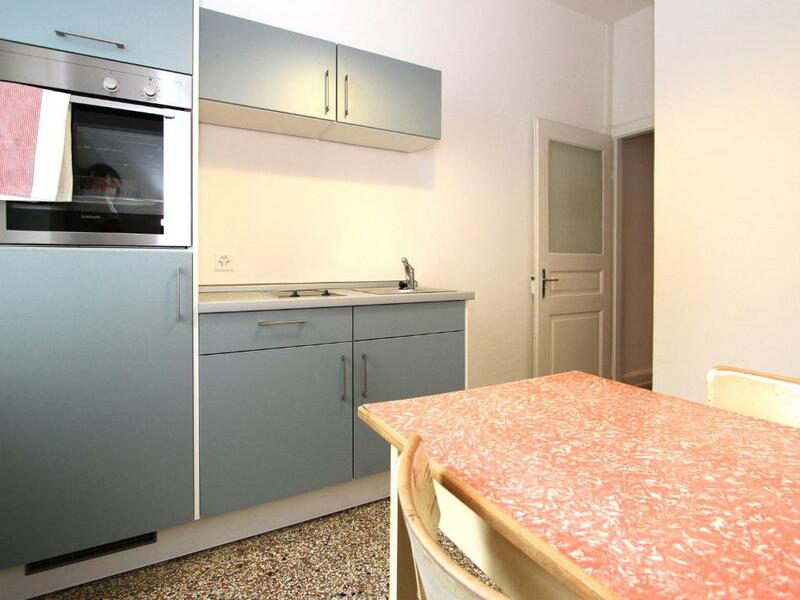 Location is perfect, close to airport and city center and shops for your breakfast. Very clean flat with a touch of 70th design in the bathroom. Very clean. And a plus, the host is really friendly. We especially loved the location and the feeling of living in an authentic ‘Basel’ cannot think apartment. Markus the owner was very helpful and friendly and we appreciated his useful tips and information when visiting Basel. We had an excellent stay. Appartment very pleasant. Hosts kinds and helpful. The offertes baselcard is great. Light, spacious, attractive and super clean apartment in a very convenient location for getting to Messe exhibition halls as well as the old town, thanks to the numerous buses and tram lines. Markus was a very welcoming and attentive host and provided lots of info about visiting Basel and its surrounds. Nothing was missing. They provided with all the things I needed during my stay (e.g. towels, coffee, extra key, etc). 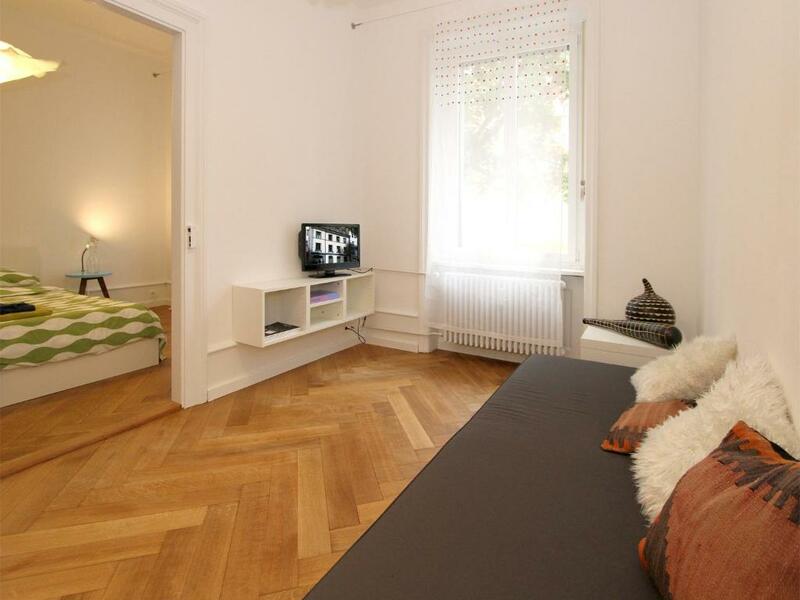 Lock in a great price for Apartments Spalenring 10 – rated 8.8 by recent guests! One of our top picks in Basel.Located within a 15-minute walk from Basel's center, Apartments Spalenring 10 offers free on-site parking. The apartments come with free Wi-Fi, flat-screen cable TV, bathroom with bathtub and toiletries. They have private entrances and there is a washing machine and dryer at guests' disposal. 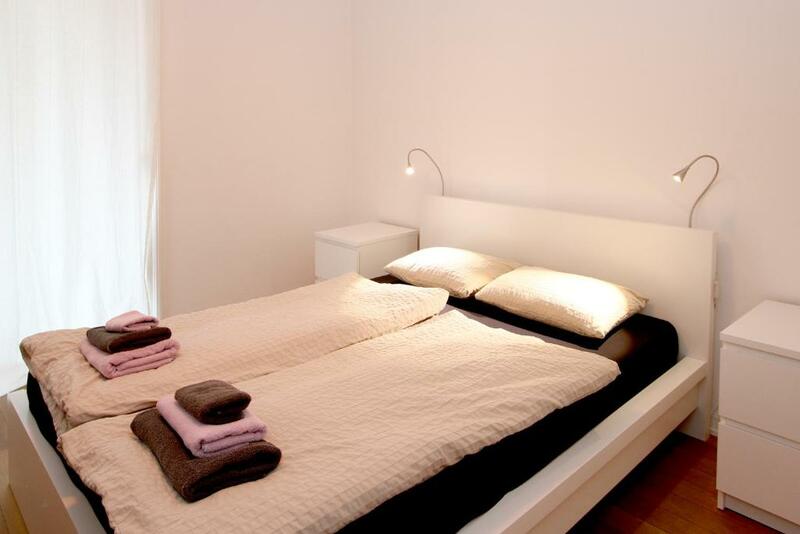 A weekly cleaning service and changing of bed linen is provided. Set in a quiet garden in the backyard, Apartments Spalenring 10 offers barbecue facilities. In the neighborhood there are various shopping opportunities and restaurants. Basel's center as well as the convention center can be reached directly by public transport means. This property also has one of the top-rated locations in Basel! Guests are happier about it compared to other properties in the area. 뀐 Located in the top-rated area in Basel, this property has an excellent location score of 9.3! 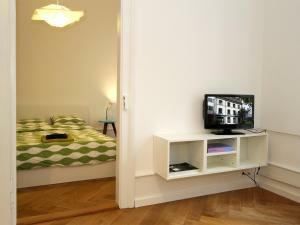 When would you like to stay at Apartments Spalenring 10? Maximum occupancy is 5 guests (see Children and Extra Bed Policy). The four apartments are in a traditional Basel townhouse. The house was built in 1904 and extensively renovated in 2008. Since 2008 we have been welcoming travellers and business people from all over the world and are looking forward to welcoming new guests. The city centre is only a 10 minute walk away. The Basel Zoo is just four tram stops away. The international airport is 15 minutes away and the train station is 10 minutes away. It has shopping facilities in the immediate surroundings and you will also find a selection of restaurants within walking distance. House Rules Apartments Spalenring 10 takes special requests – add in the next step! Apartments Spalenring 10 accepts these cards and reserves the right to temporarily hold an amount prior to arrival. Please note that all guests are registered at the accommodations and no visitors are allowed. central location, responsive host and tidy place. I cannot think of anything right now. Marcus our host was very helpful, quick to answer emails before we arrived, lots of useful tips about things to do in Basel and nothing was too much trouble if we needed something. Very convenient location. We would definitely stay here again if in Basel. The location was fantastic. The flat was lovely, bigger than I expected (more a one-bedroom than a studio). And the owner was very nice and helpful. I definitely recommend staying here! Nothing that deserves a mention! The owner of the property Markus, is just great! He ensured I had no difficulties whatsoever, even in his absence. Despite the normal self-service for laundry, they even offered to pick up my laundry from the room and get them pressed and dry cleaned as well. Very nice and cozy flats. Highly recommended. The bathroom could be a bit bigger. The personnel who greeted us was very friendly and always willing to help, which made our stay a very comfortable one.